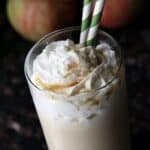 Easy Maple Apple Milkshake, the best fall drink recipe that is perfect for Halloween, Thanksgiving, fall party, or a special treat for the kids or adults! 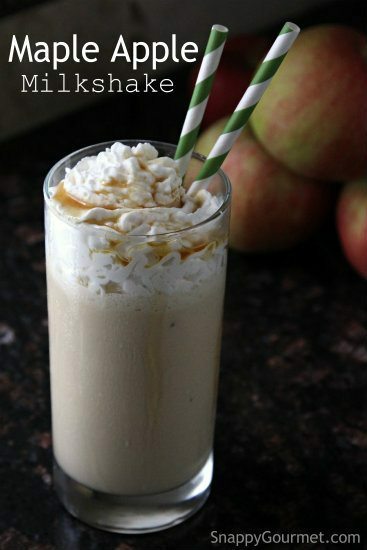 Easy Maple Apple Milkshake, an easy fall drink recipe that is perfect for Halloween, Thanksgiving, fall party, or a special treat for the kids (or adults)! My kids were looking for something special one day so we came up with this fun drink that is perfect for this time of year. We’re still getting some warm days (thank goodness, because I am NOT ready for cold temperatures yet) and a milkshake was the perfect treat. 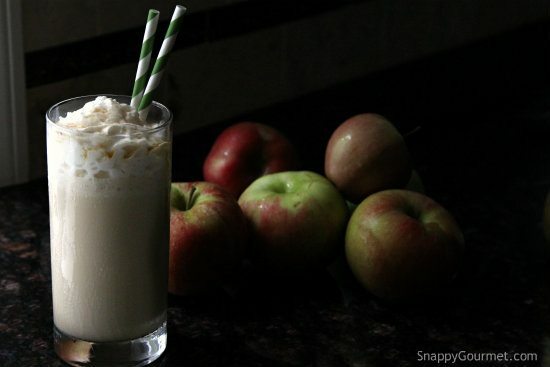 Not too many ingredients so this Easy Maple Apple Milkshake really is super-duper easy to make. Just add some vanilla ice cream, apple cider, maple syrup, and cinnamon into a blender. I used real maple syrup from a local farm but you can use whatever you’d like. 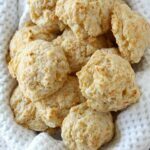 For a stronger maple flavor add more syrup or even a little maple extract. I really recommend using cider rather than apple juice, but I guess it’s a personal preference. 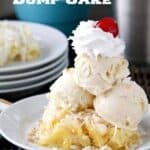 Top with a little whipped cream and a drizzle of maple syrup and there you have it! Or substitute caramel for a Caramel Apple Milkshake recipe. 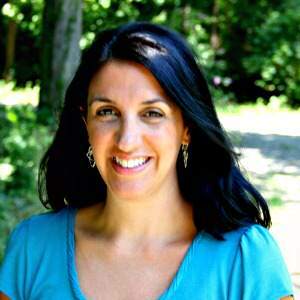 For an adult version blend in one of your favorite liqueurs such as a nut or maple liqueur. Yum! Hope you enjoy! 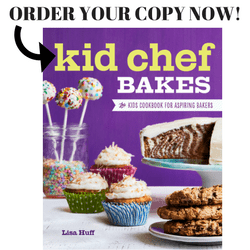 Want more fun recipes for fall? Check out my Caramel Apple Cheesecaketini and Chicken Salad with Apples. 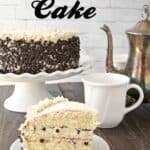 These German Apple Pancakes and Apple Crisp Crumb Cake also look great from other bloggers. 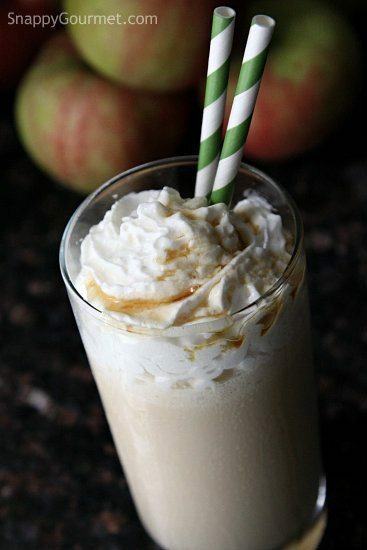 Easy Maple Apple Milkshake Recipe, an easy fall drink with ice cream, cider, and maple syrup. Perfect for Halloween, Thanksgiving, or a fall party! Place ice cream, cider, maple syrup, and cinnamon into blender. Blend until smooth. 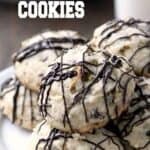 Pour into glass and top with whipped cream and a drizzle of more maple syrup if desired. 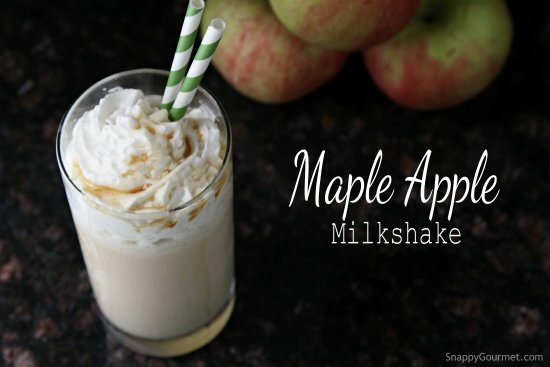 SNAPPY TIPS: For a deeper maple flavor add additional maple syrup to the milkshake or add a little maple extract. 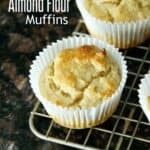 You can also turn this into a fun fall cocktail by adding your favorite nut or maple flavored liqueurs. SNAPPY SUBSTITUTIONS: Instead of maple syrup, caramel could be used. 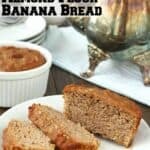 Lisa, this looks SO yummy, I absolutely love this idea! Can’t wait to make!